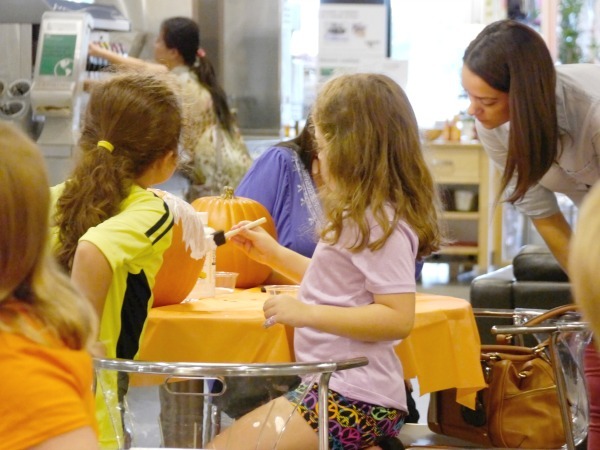 A "Gourd"-geous pumpkin decorating class - C.R.A.F.T. 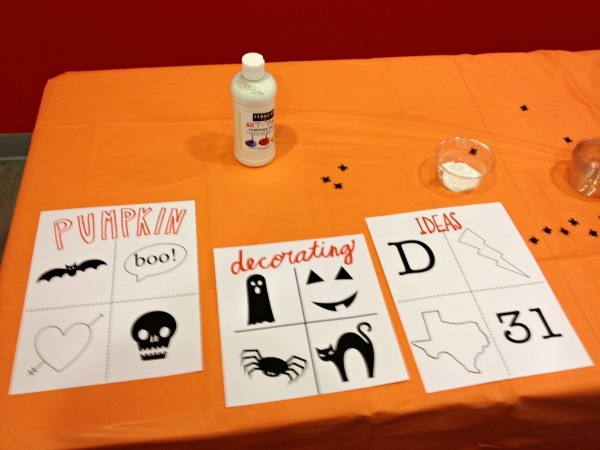 The two pumpkins we were making at Ikea were the thumbtack pumpkin and the spider web pumpkin from this post. I also made a tiny cursive boo pumpkin for the occasion, that is not pictured below. 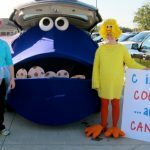 We had all of the supplies to make these guys, but I gave everyone lots of options and ideas to use the thumbtack in other ways too. 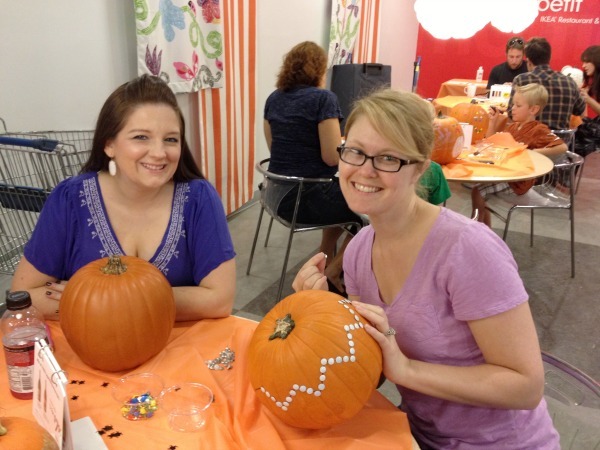 You can use thumbtack to make any design, monogram, shape or pattern your little heart desires. 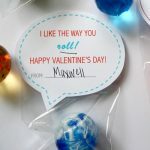 And I love that people came up with lots more ideas too! 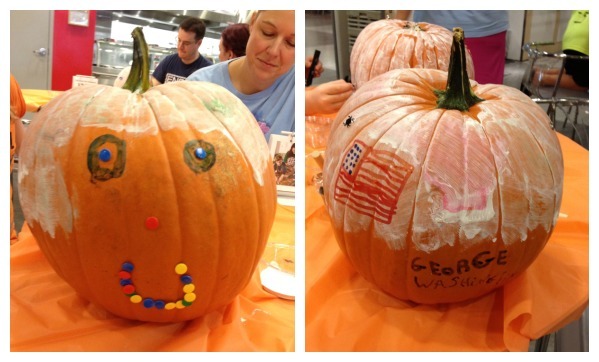 There were kiddos of all ages with big imaginations, one mom said her little girl named her pumpkin George Washington on the way to class and so she made George! Impressive, huh?! 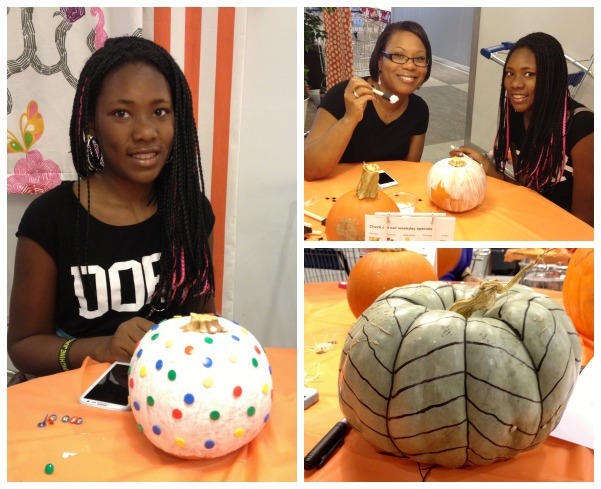 Jenn made a fun monogram pumpkin and used thumb tacks on a faux pumpkin, and Lani crafted up a super cute chevron pattern! These girls are my real life blog friends, gotta love blogging! 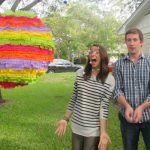 My Austin bestie, Rachelle, brought her BF, Andy so my Andy had a friend. 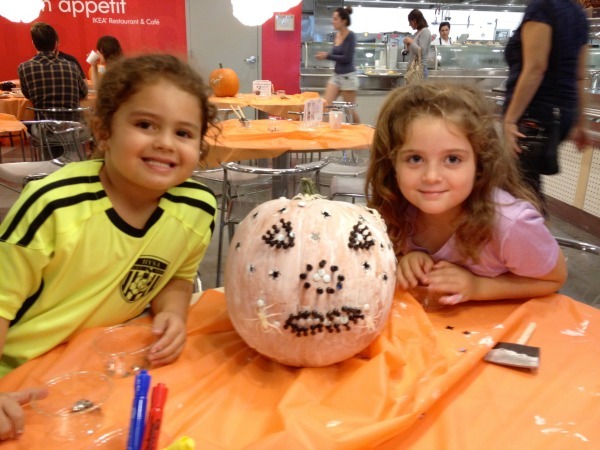 Rachelle whipped up a fun thumb tack “Boo” pumpkin! 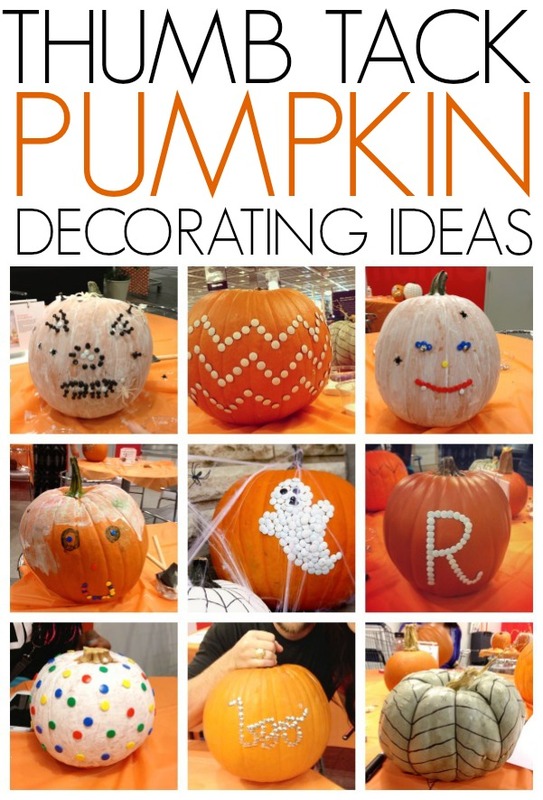 There was lots of thumb tack pumpkin inspiration! 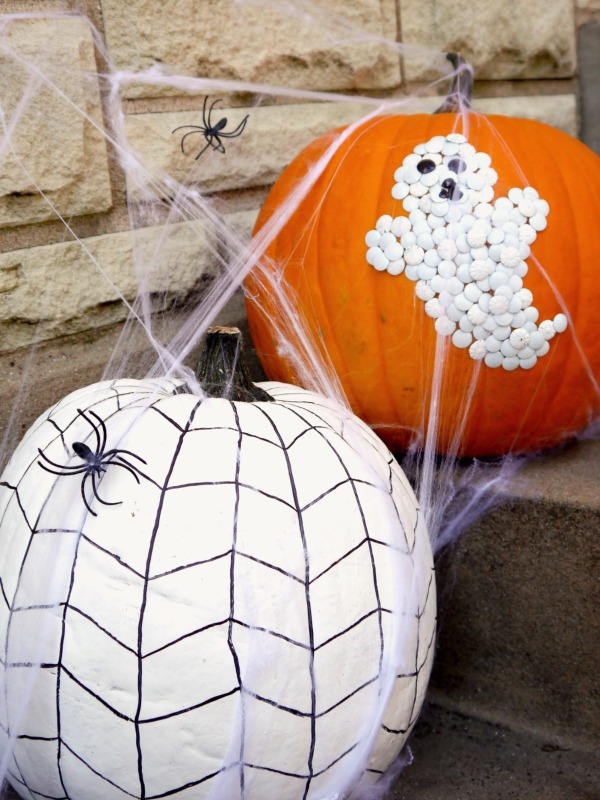 Have you ever used thumb tacks to decorate pumpkins? 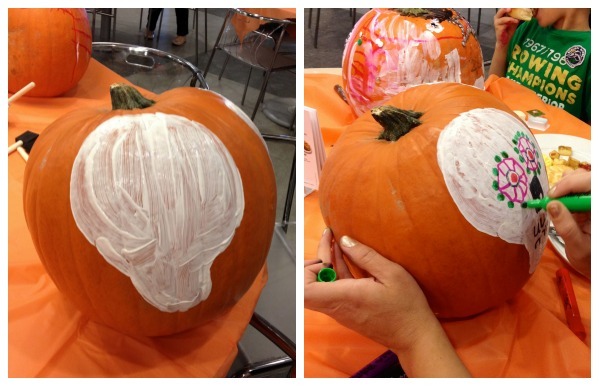 It will certainly make your pumpkin last longer! 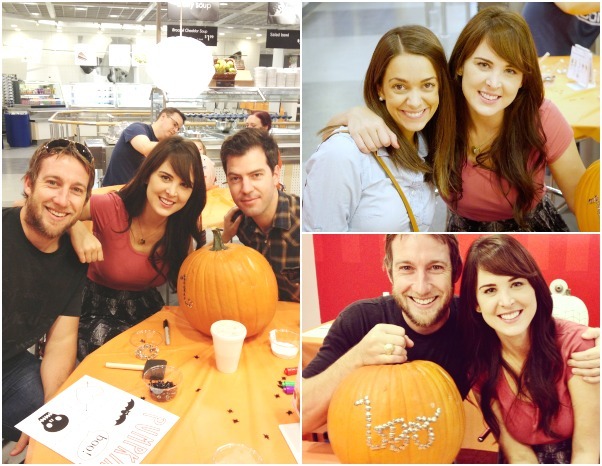 A giant thank you to everyone who came out to Ikea and decorated pumpkins with me! 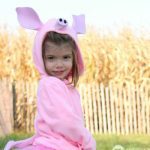 If you need some DIY Halloween costume inspiration, here ya go!